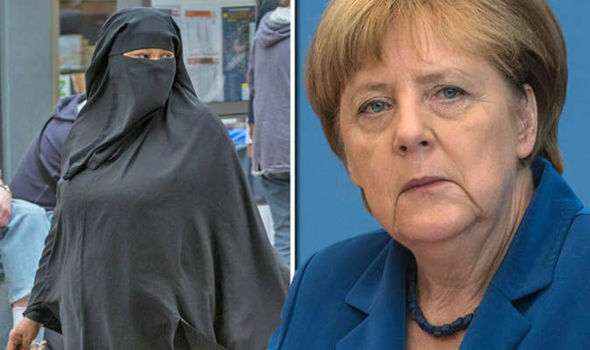 THE majority of people in Germany want Angela Merkel to ban the burka, a new study has revealed.A whopping 81 per cent are against the full-face veil being used in public, according to a survey for German broadcaster ARD. The research found 51 per cent are in favour of a total ban on all types of Islamic headscarves while only 15 per cent opposed to a ban in principleOne in three people who took part in the survey wanted a partial ban, such as one affecting public service workers only. The survey was conducted by German researcher firm Infratest dimap between August 23 and 24, asking 1,008 people. The ban of the full-face veil is part of the so-called "Berlin Declaration", which was drafted to improve internal security.The move comes as Dr Hugo Müller-Vogg, a renowned journalist and former publisher of the Frankfurter Allgemeine Zeitung, branded the burka “a textile prison” and those who tolerate them as “the best helpers of the Salafists”. 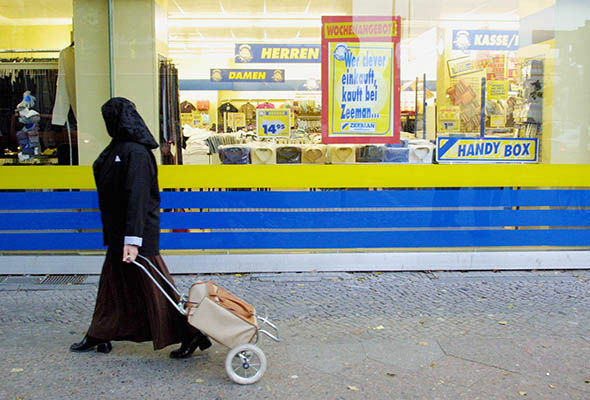 Dr Müller-Vogg wrote: “The burka ban is about so much more than just eccentric outsiders. “It is about the fact that we must not allow Muslim men to polish their ego by discriminating against their wives.“It is mainly about the question of what we accept as part of our self-image as an open, pluralistic society, and from which point onwards our tolerance towards the intolerant will endanger our own freedom. “Those Islamist fanatics who force their women to wear a burka and niqab don't make it a secret that they are at war - the war against the ‘infidels’, a war against the Western world, a war against the achievements of education, etc. He added: “If we thus support the Islamist fanatics in their oppression of their women, they would be able to increase the pressure on other men to also force their own wives into the textile prison when they want to go outside.”The public debate in Germany has also been influenced by the burkini ban in neighbouring France. France's highest court sensationally overturned the prohibition of the Muslim full-body swimsuits on the country's beaches this afternoon. Since the ISIS attack in Nice where 86 people were murdered by a truck-driving jihadi, more than 30 French cities and towns have imposed burkini bans. Officials say Muslim swimwear could be perceived as a provocation and cause public disorder. But critics have condemned the ban as excessive and Islamophobic and see it as a breach of civil liberties. A few days ago a woman was apparently forced to take off some of her clothes on the beach in Nice. She said she was not wearing a burkini.